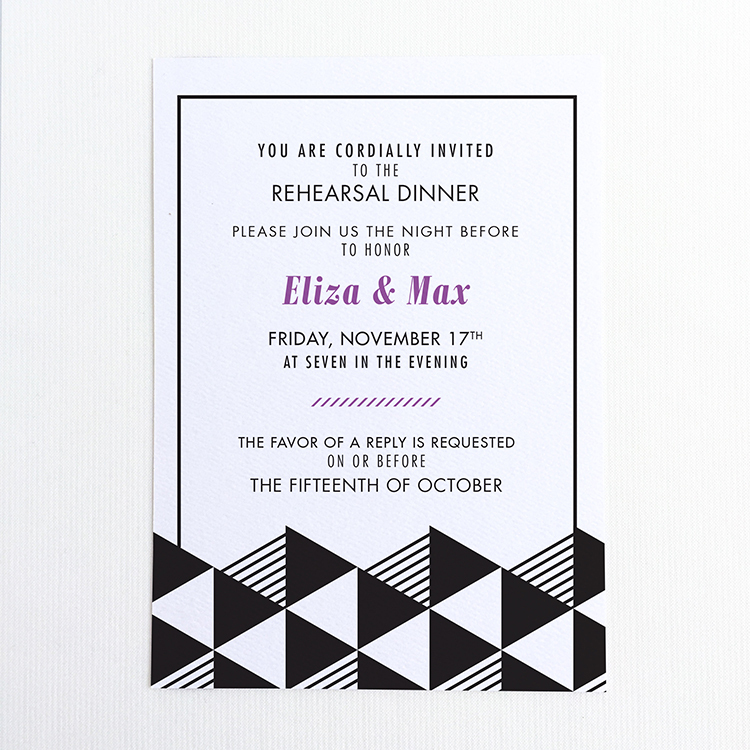 A geometric pattern is the essential accent for a sophisticated celebration in the most contemporary or elegant wedding, adding a modern touch to your special Geometric Wedding Invitation Suite. 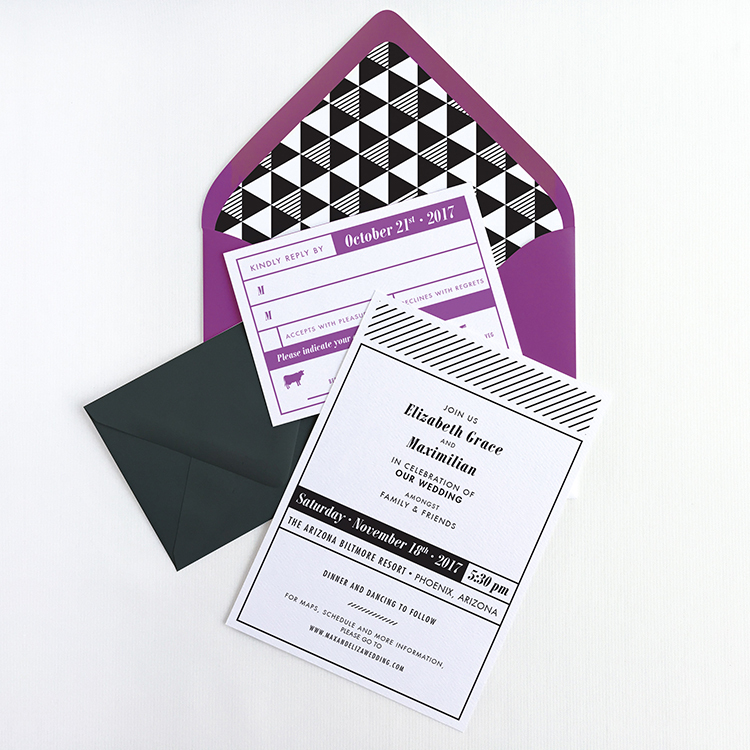 Each of the three pattern options you have available—triangles, hexagons, herringbone—are reminiscent of simple forms yet are playfully intricate combined with colorful envelopes. Paired with both a simplified sans serif and a bold serif typeface (font), this Modern Geometric Wedding Invitation is perfect for that couple with a discerning eye for style.